When a house is fully furnished, it looks very nice and comfy. What if it is given an additional aesthetic value? Any house will look very comfortable and colorful, and if in addition there are decoration items used, then the appearance will be more presentable. This is something that people have come to realize, and therefore using tabletop crafts is on the rise. There are various items that people use, to decorate various areas around the house. They come in a large variety, different in color, shape, and size. Some of these items include one monkey tabletop craft which you can use to add a touch of beauty in your house. The sole idea of using tabletop crafts is to give a house the kind of a look that a house owner desires. Looking for a shop where you can buy decorative resin tabletop craft toys? 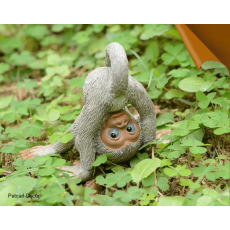 Petacarl-Décor is a reliable shop that you can visit to buy what you are looking for.